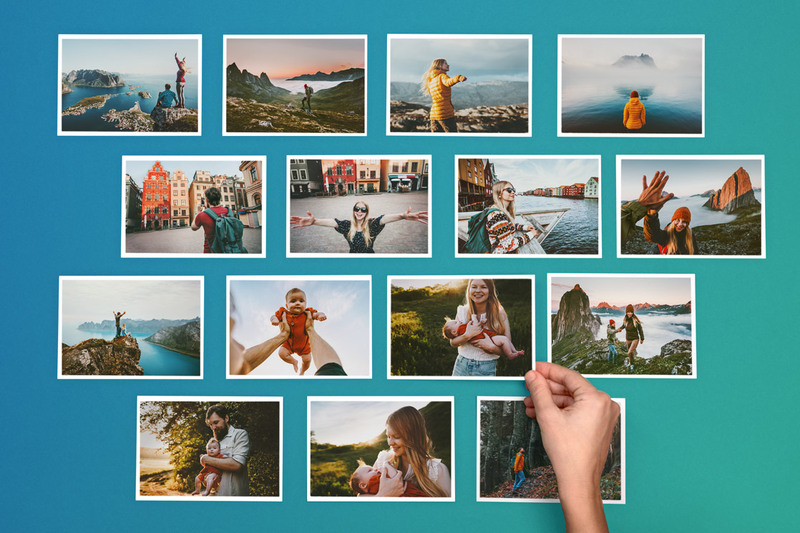 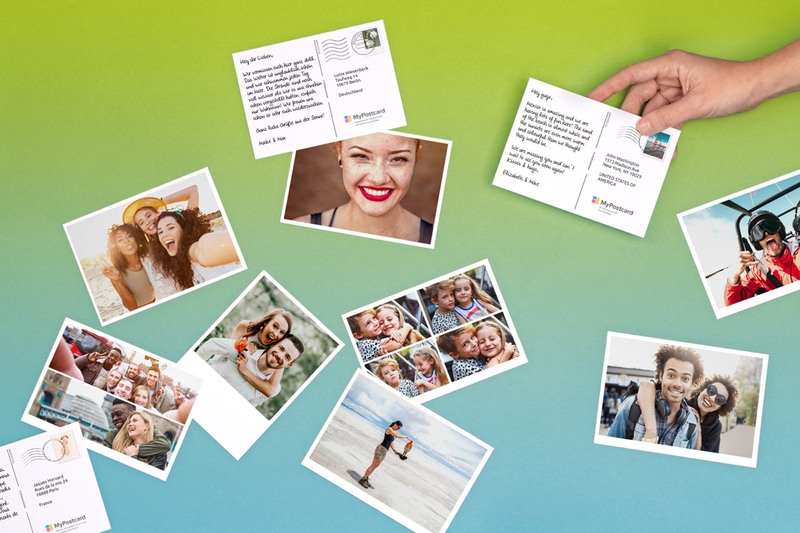 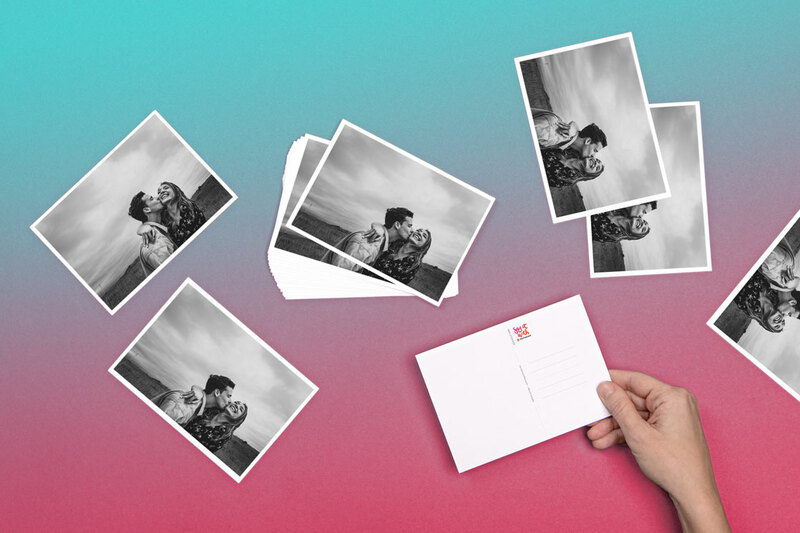 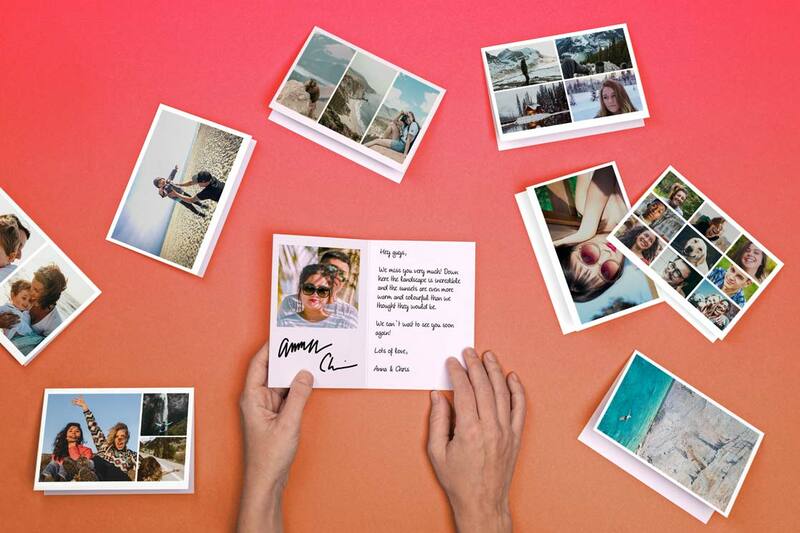 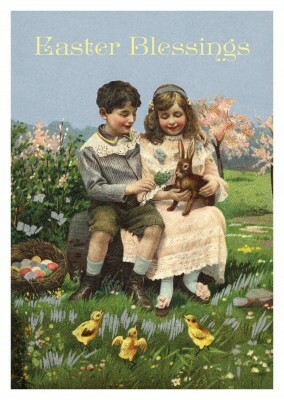 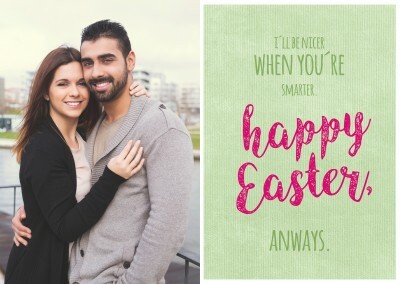 Looking for a postcard that shows family love on this Easter holiday? 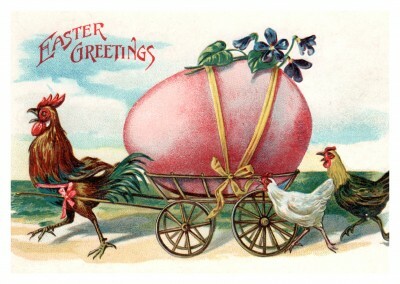 Look no further with this postcard here, a perfect visualization of the love of family on this Easter holiday. 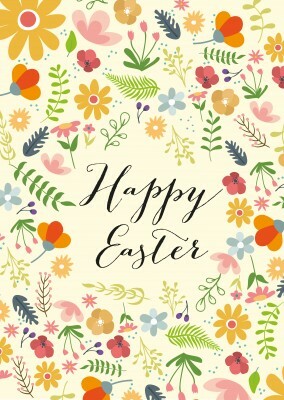 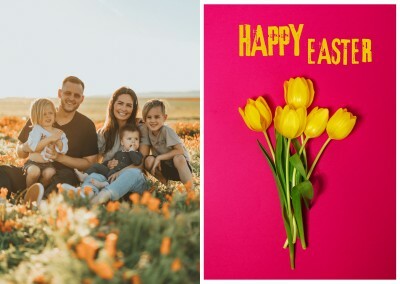 The flowers all over the front of the happy Easter postcard show an inviting and positive vibe that you and your family share and Easter is a perfect holiday to show love to family and others. 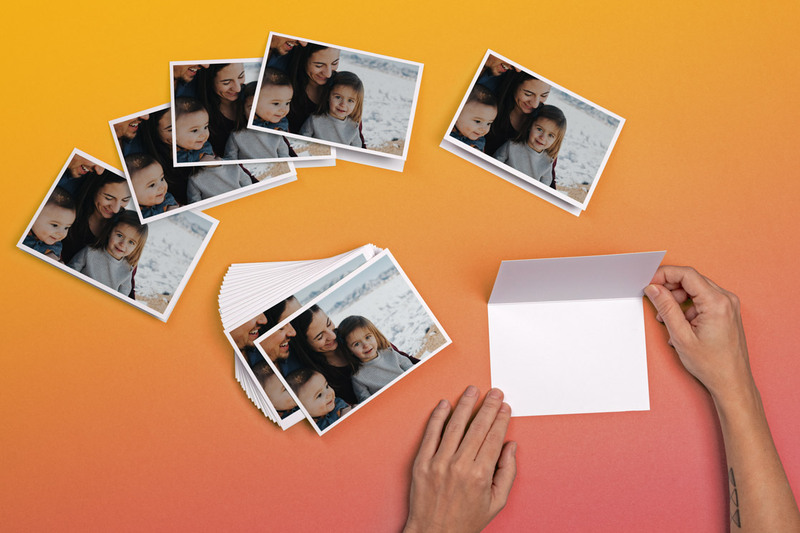 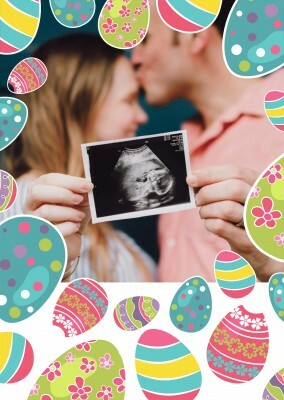 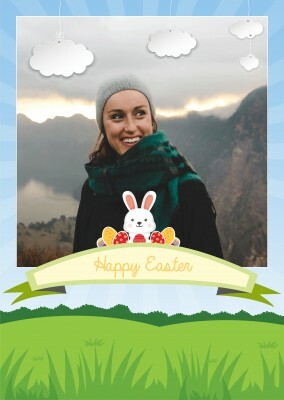 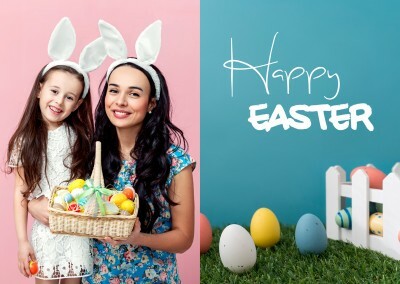 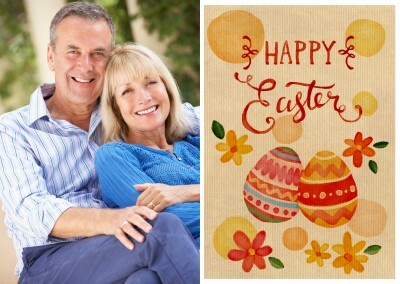 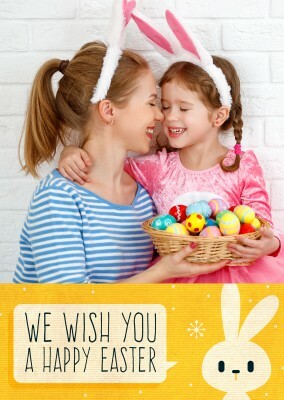 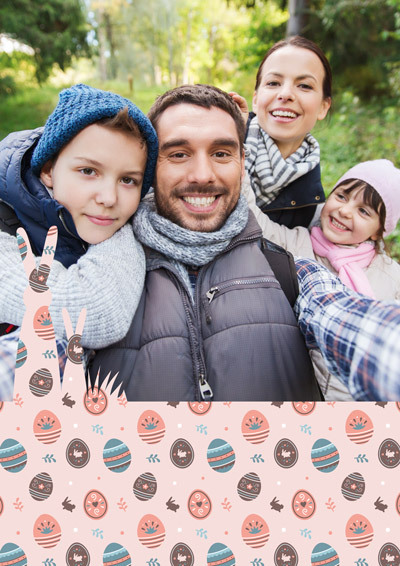 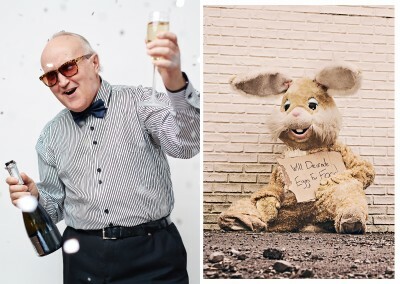 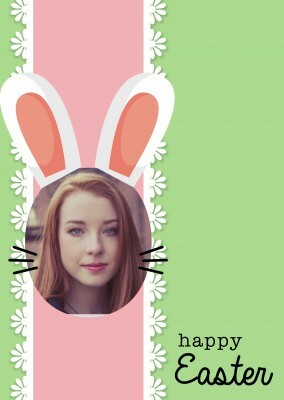 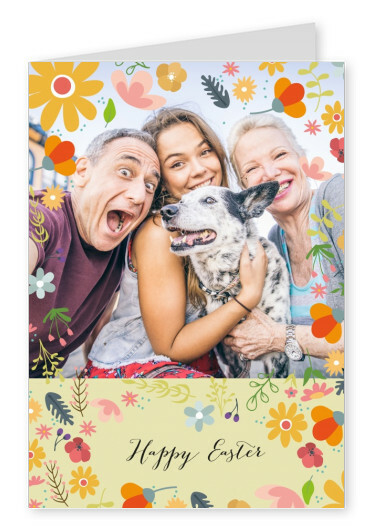 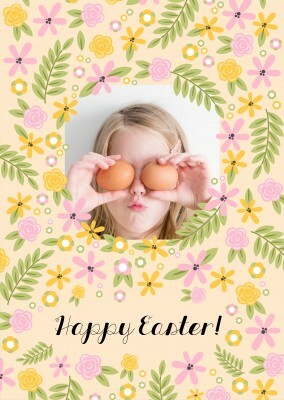 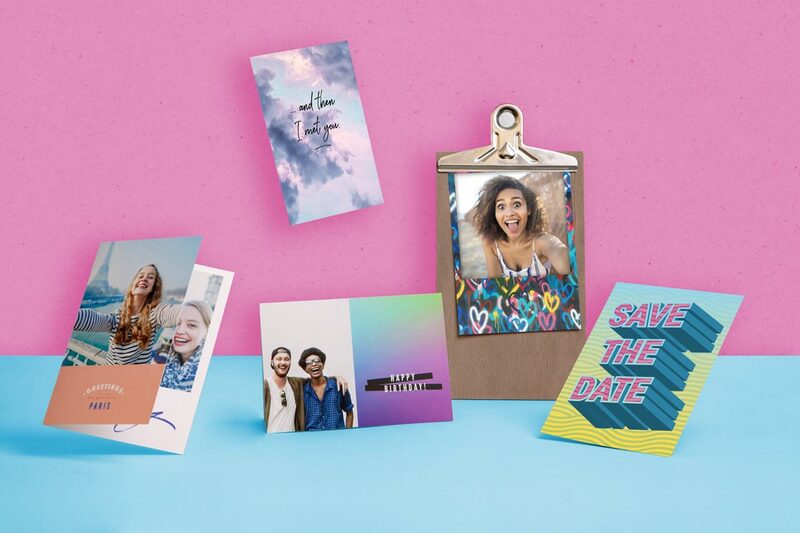 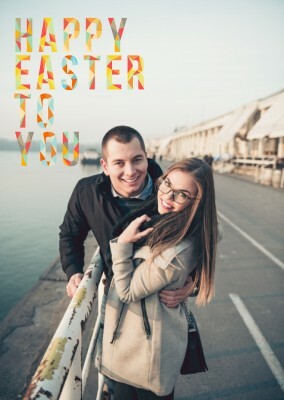 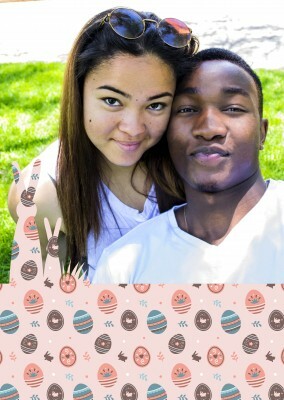 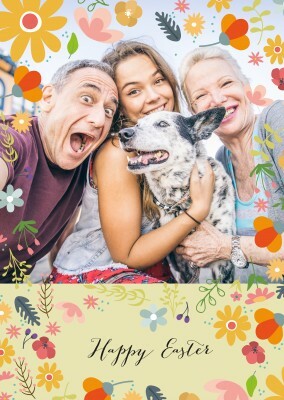 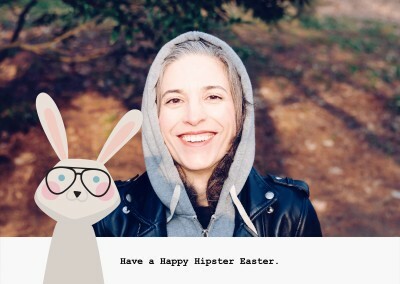 The front side of the happy Easter postcard also allows you to place a personal photo of you and the family on this Easter to show he or she you are sending this card to the love being shared on this holiday season. 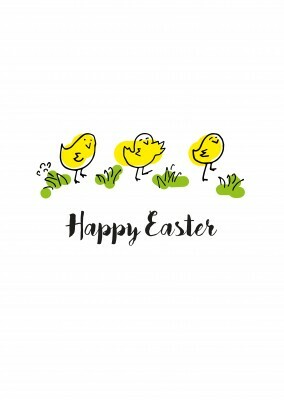 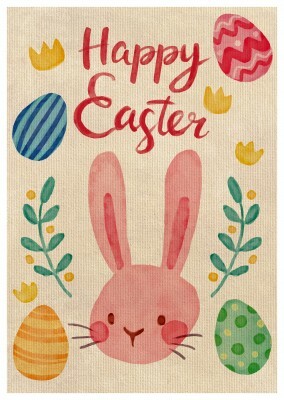 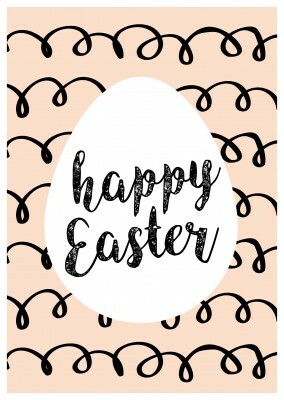 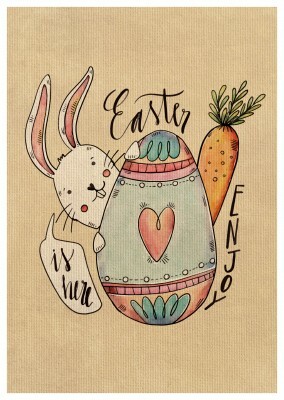 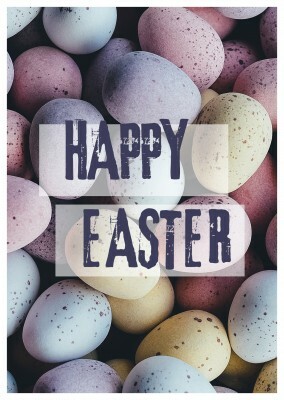 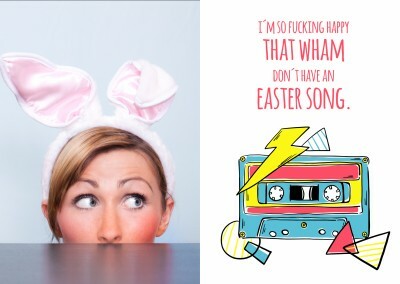 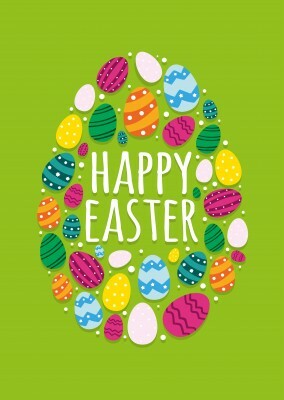 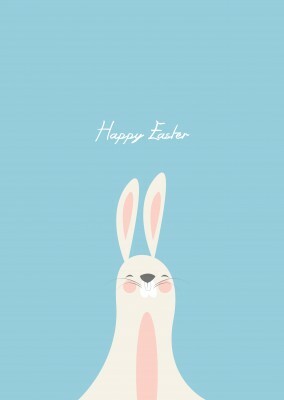 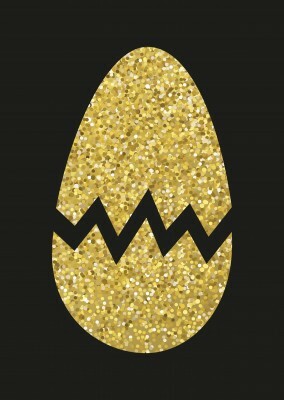 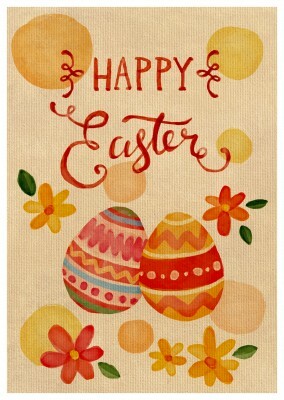 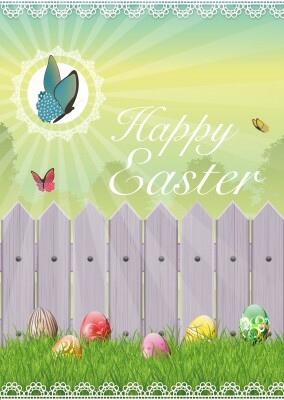 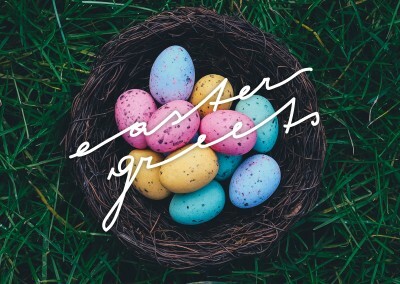 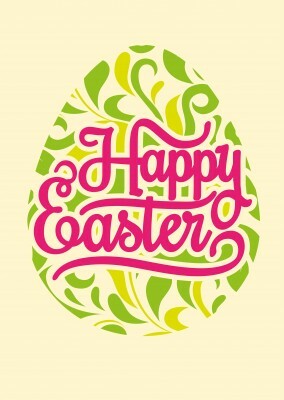 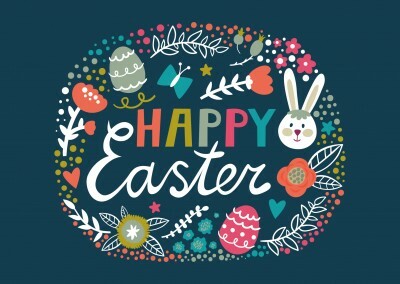 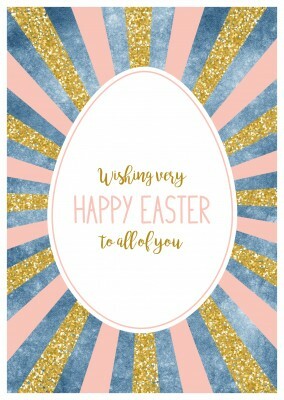 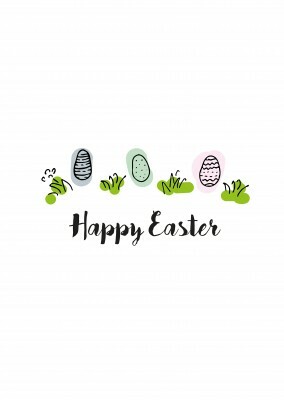 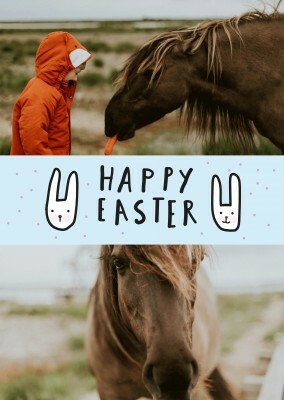 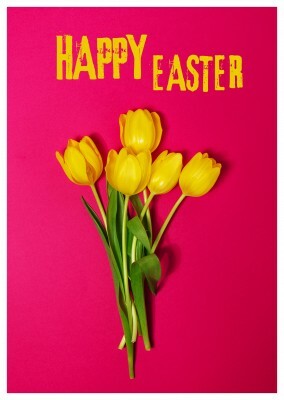 The other side of the postcard gives you the opportunity to create a friendly personal message to he or she that will be receiving this postcard letting them know you are wishing them a happy Easter. 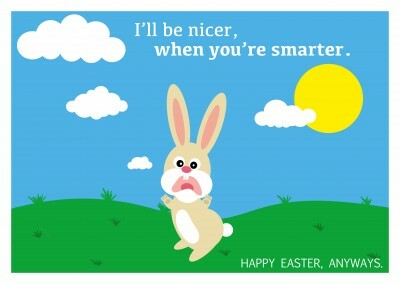 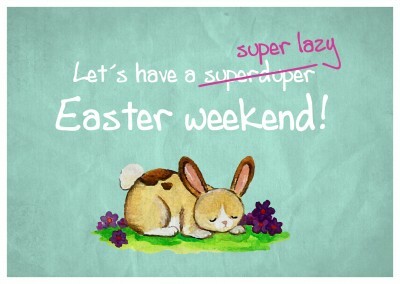 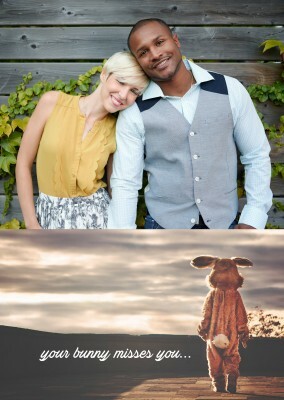 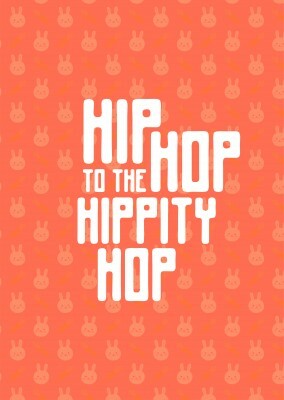 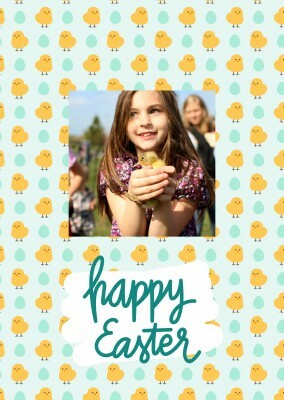 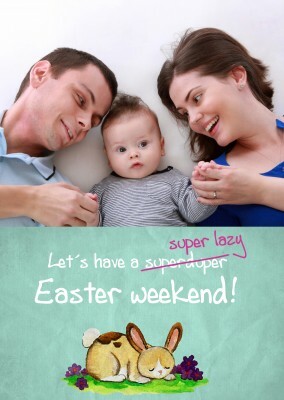 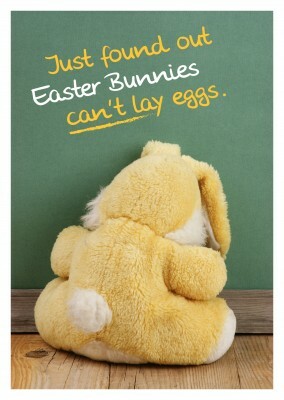 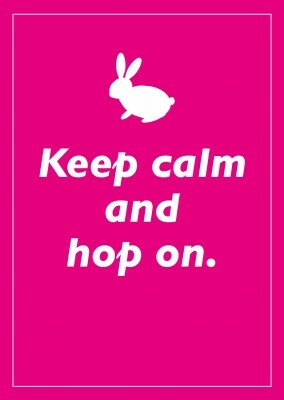 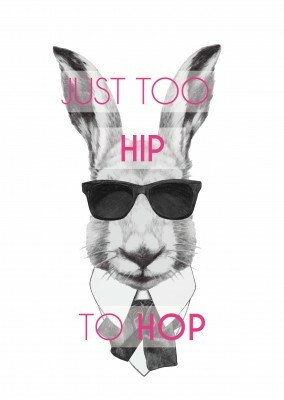 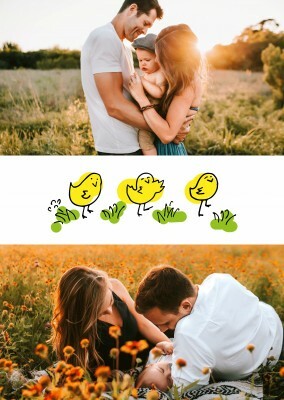 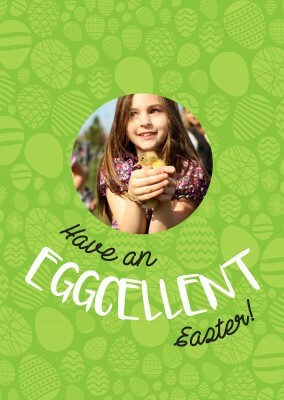 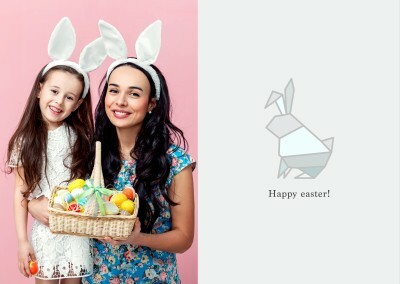 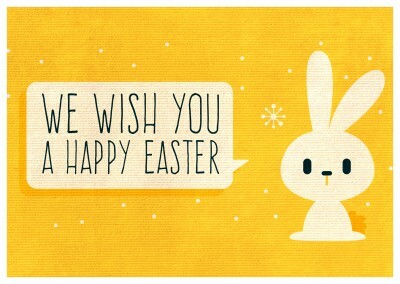 Show the family love on Easter that you and your family have with this happy Easter postcard.